I got my first touch with motorsport at the age of six when my father took all his three children go-karting. Motorsport stole my heart and I fell in love with the fascination of speed and the continuous possibility to learn and develop my skills. My own racing career ended in 2010 when I drove my last season in the Legends series. Racing has educated me in many ways, for example seeking for sponsorship has taught me about building cooperation relationships and managing business affairs with senior stakeholders. My pressure and stress endurance has advanced in extreme circumstances. I also consider myself lucky for having had the opportunity to do racing together with the family. In addition to the priceless experiences in the world of technology I have succeeded in motorsport very well. 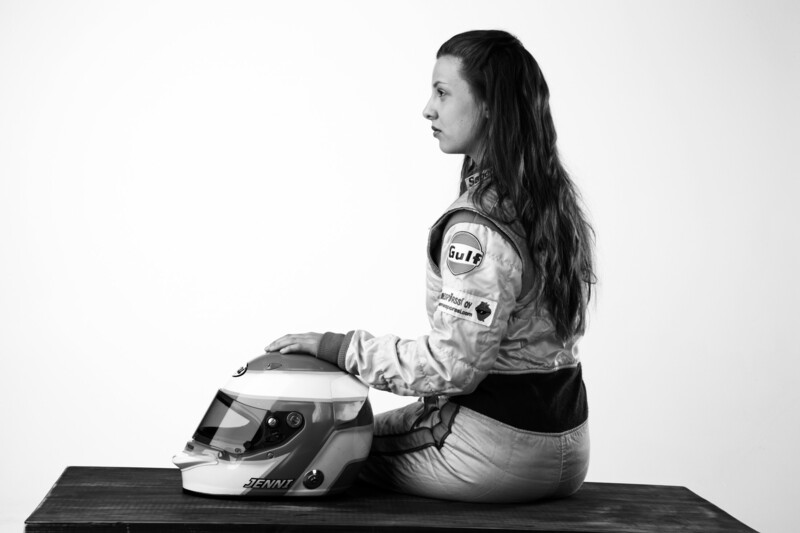 For example, in 2004 I was noted for being thefastest woman in Northern Europe and I was officially nominated for Finland´s best female driver. In the Finnish go-karting championships I placed second overall right after Valtteri Bottas. At the age of sixteen I drove my first season with an open-wheel formula car. In the 2005 season I drove Formula Ford and for the next five years I competed in the biggest racing series in Finland, which is called Legends trophy. Studying has always been very important for me and I have studied hard besides car racing. In 2005-2008 I completed a combination degree (high school and vocational school) In 2008 I started studying in Helsinki University of Applied Sciences from where I graduated in 2012 with a bachelor´s degree in automotive electronics. Without my motorsport history I would not have gathered this much experience from life, technology and people. Car racing has brought our family together and I´m very thankful to my father for giving me the opportunity to do racing. He gave his children’s life direction and the possibility to grow as people in extreme circumstances; he gave me the chance to be a professional athlete.